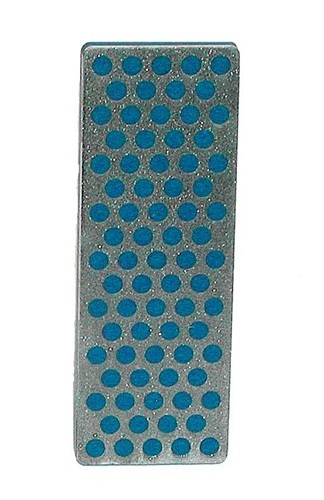 A portable enhancement to any tool kit is the Mini Diamond 70mm stone in DMT®’s signature polka-dot pattern. Stone measures 2-11/16” x 15/16” x 3/16”. Extra Coarse (60 micron / 220) when significant removal of material is needed for damaged edges.